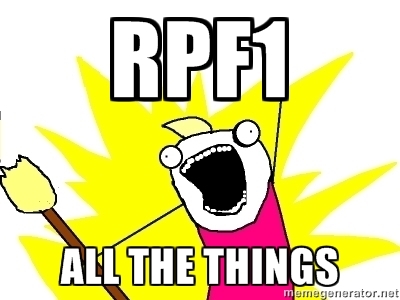 To fit the 18×10 +38mm RPF1 on a GD is tough. Fitting it on GR/GV is much easier. I’ll go into detail about the steps and mods required to fit them for each chassis. 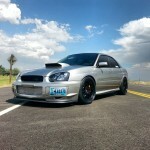 On to some snap shots, if you’ve got photos of your STI on 18×10 +38mm RPF1s don’t hesitate to send them our way. As always don’t hesitate to fire off an email or comment if there are questions. 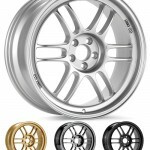 Are there any issues with the rim hitting the coil over on a 18×10 +38 wheel? 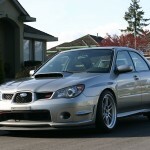 Particularly on a GD chassis WRX (no brembos). 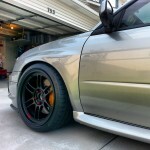 For an 05 STi with 18×10+38 RPF1’s what tire size do you recommend or see is most popular? Will they still fit on 2015 with extended studs and 5mm spacers with 275/30?